It might be in your mind why should you learn the C language. In this article, you gonna see 9 Reasons why you should Learn C language. This was the same question I asked myself when I started writing my first program. I tried many languages but finally came to C, the most beautiful and charming language of all. I was actually overwhelmed by the simplicity and elegance of C. In this article, you will know 11 wonderful reasons to learn C language. Though C is simple it is one of the most powerful languages ever created. Where To Start, I am a beginner? For a beginner level programmer, the biggest question is where to start. Which language to choose from the mighty pool of 1000’s of languages. It’s really tough to decide which language would be the best fit for you. Be cool and relax your mind. Now ask yourself what do you want to become in the upcoming future. For instance, website developer, android developer, data scientist or anything else. By keeping care of your future needs and job satisfaction, you can choose a specific language and learn that. Why should I learn C as my First Language? However, in your first programming language, you will face various difficulties in understanding basic concepts. Why not learn C as a first programming language? Because C is really flexible to system software development as well as application software development. If you will learn C as your first programming language it would be better. Because you will be familiar to various basic concepts that are used in programming language and the most important thing is, it will help you in building your analytical power as you can easily backtrack your program. It’s true that syntax, semantics, variable declaration are different for different languages. In simple term, program structure differs according to the programming language. However, when you will learn the C language at first it will definitely boost your speed of learning. In this dynamic IT world new language comes every day and get obsolete. So, there must be something in the C which has remained there for more than 3 decades and even today there is hardly any language which can match its strength. Have You enjoyed the article on Why To Learn C Language! There are many opinion that is often heard today is – “C has been superseded by other programming languages like C++, C# and java”. However, in my opinion there are many reasons for learning C language. 9 Reasons why you should Learn C language? C++ is based on C language and C# is also originated from C. Java is additionally a far-off cousin of C and offer a similar programming concept and syntax as of C. These are the most overwhelming programming language in the world and all depend on C. So, if you want to get job in bigger companies where programming languages are made then you must learn C language. Major parts of famous working frameworks and operating systems like Windows, UNIX, Linux, and Android are written in C. Even today when performance (speed of execution) is considered, C becomes primary choice of programmers. You know very well how much popular is android. Just think about a modern world without operating systems like Windows, Linux, Unix. Without OPerating System computer is nothing more than a box. If, Android was not invented then how you gonna communicate just a smartphone in your hand. These all happened due to C language. We must be thankful to Dennis Ritchie, who has founded this amazing programming language. Mobile devices like smartphones and tablets have become very popular today. Also common devices like the washing machine, microwaves are getting smarter by the day. This smartness comes from a microprocessor. These programmes need to run fast as well as they need to work in a constrained measure of memory. For your kind information, these programs are written in C.
Think about the importance of washing machine, digital calculator, microwaves. Assume, the world without these embedded appliances because for embedded system C is the primary choice for a programmer. To match the expectation of the player the game has to respond fast to the user inputs. In this situation, C language scores over other languages. Many popular gaming frameworks, for instance, DirectX and gaming engine like Allegro have been built in C language. If it comes to interaction with hardware devices, C is the best choice of programmers as c provides several elements that make this interaction feasible without compromising performance. At times one is required to very closely interact with the hardware devices C becomes the first choice. C++, C# or Java makes use of a principle called object-oriented Programming (OOP) to organize the program. This organizing principle has lots of advantages to offer. However, even while using these organizing guidelines you would still need a decent hold over the language elements of C and the essential programming skills. So it makes more sense to learn C and then migrate to C++, C#, Java or other programming languages. Despite the fact that this two-step learning procedure may take more time, however, in the end, you will definitely find it worth. C is a middle-level language. There exist three types of language – High Level, Middle Level & Low Level. The programming languages which are user-oriented, giving faster development of programs, are considered High-level languages. For instance, BASIC. As far as Low-level languages are considered they are machine oriented and they provide faster execution of programs. C language is a middle-level language as it combines the best part of a high-level language with low-level language. In addition, it is user oriented as well as machine oriented and provides infinite possibilities. It is a block-structured programming language. Each code exists in a separate block. Block provides flexibility in understanding programming structure and minimizing the possibilities of undesirable side effects. C language is designed from the bottom to top to be a block-structured language. Many older languages, most popular being BASIC tried to introduce this concept but they were not able to gain as much value in front of programmer or industry because of limitations in their functions. Just assume about a programmer who writes 1000 line of a program in one block and there is another programmer who writes a program for same functionality but in 10 blocks. Whose program, you gonna read? Whose program is easy to understand, modify. And, when there occurs an error which program is easy to debug, modify or change. Definitely, the program written by the second program because it will save time in finding bugs or errors and removing errors from the program. In my opinion, to master these languages you need to have a strong concept of programming elements such as polymorphism, classes, inheritance etc. The simple question is how you can learn such complicated concepts when you don’t know about the basic elements such as block functions. 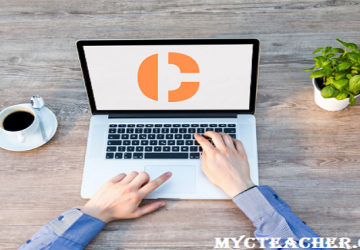 C is a language which begins from scratch and it has foundational concepts on which today’s concepts stand on. I hope that these are very convincing reasons why you should learn C as your first language. An entrepreneur by the mind and a passionate blogger by heart ❤. I have started my carrier as a software developer and left an awesome job to become my own boss. I am a pro blogger, SEO expert and founder of many websites. 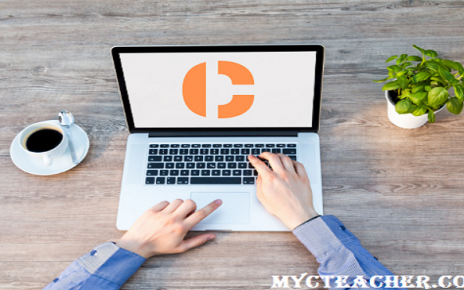 However, currently giving my full time to mycteacher in order to create awesome content on c programming. Goal: Help People as much as possible. I am interested in your offer. Let me know what is the raw material. So that I can proceed.